Thank you for reading my blog and I hope that you all have a great Christmas. In the new year perhaps we can meet up at The Greenwich Gallery where, from January 4th – 29th I will be exhibiting my personal homage to the incredible work that the Corporation of Trinity House have been doing by making our shores a safer place for sailors. It is their 500th anniversary and I have made drawings of many of the lighthouses and lightships that are supplied by Trinity House and which have affected the lives of so many. 500 years ago Venetian Galleys moored up outside my studio. 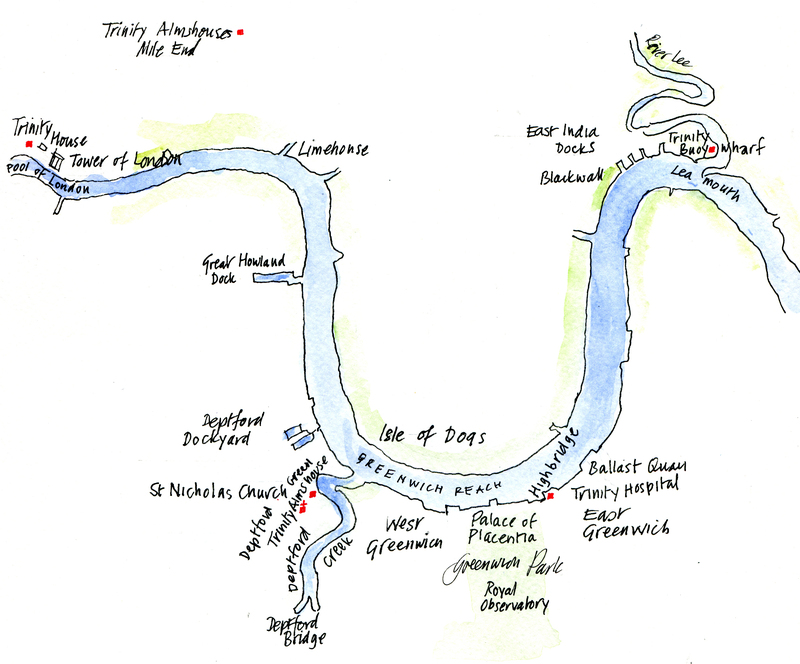 500 years ago Henry VIII gave a charter for the formation of Trinity House just down the road in Deptford. I just had to make a sketch or two…..
Peter Kent, Crane Street, Greenwich. 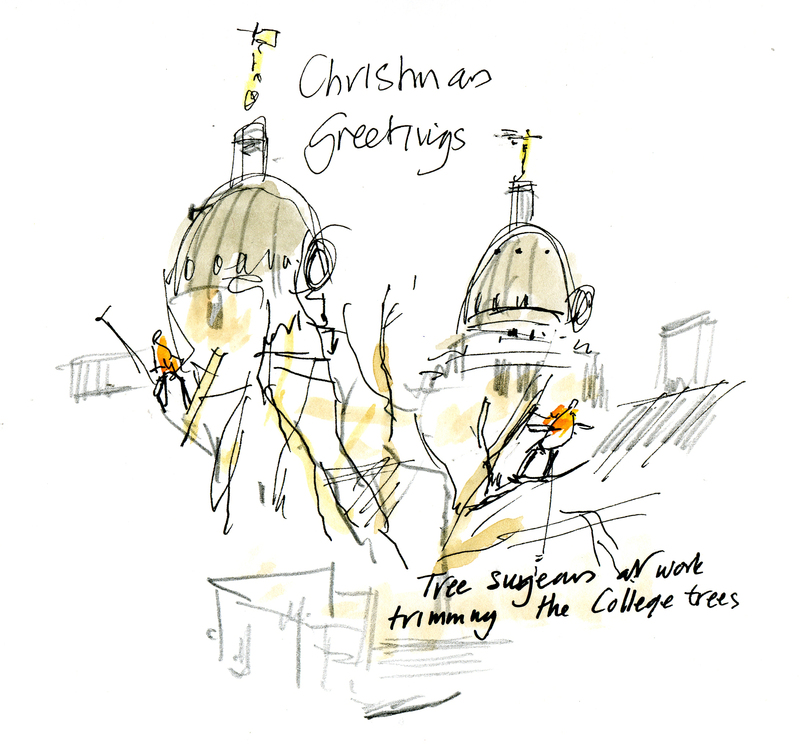 PS Let’s not forget the brave tree surgeons who have given an extended life to the trees in the Naval College.